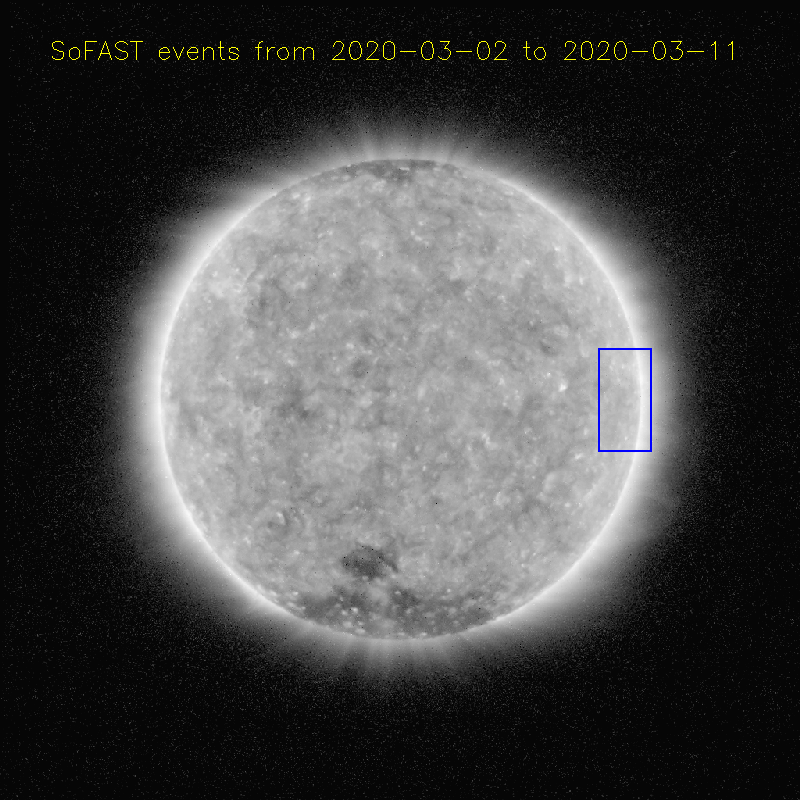 On August 4 2011, around 4UT in the morning, a very strong solar flare (class M9.3) occurred in the North-Western quadrant of the Sun. 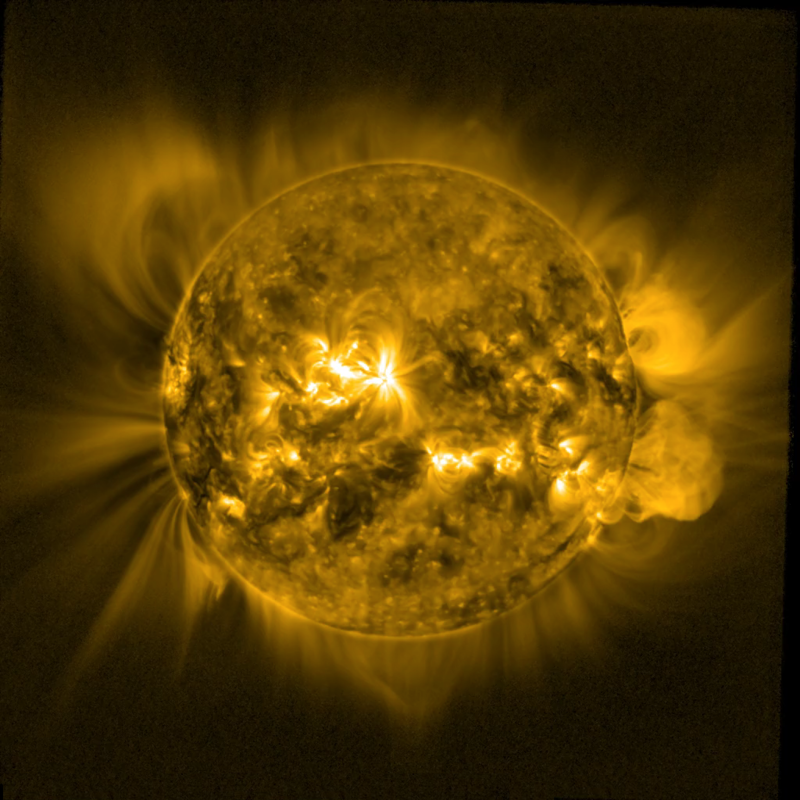 The subsequent global EUV wave - comparable to a solar tsunami - influenced more than half of the solar surface. The following snapshots of the SWAP difference movie shows the explosive event in full glory. It was also associated with a coronal mass ejection (CME) which is now heading towards Earth. 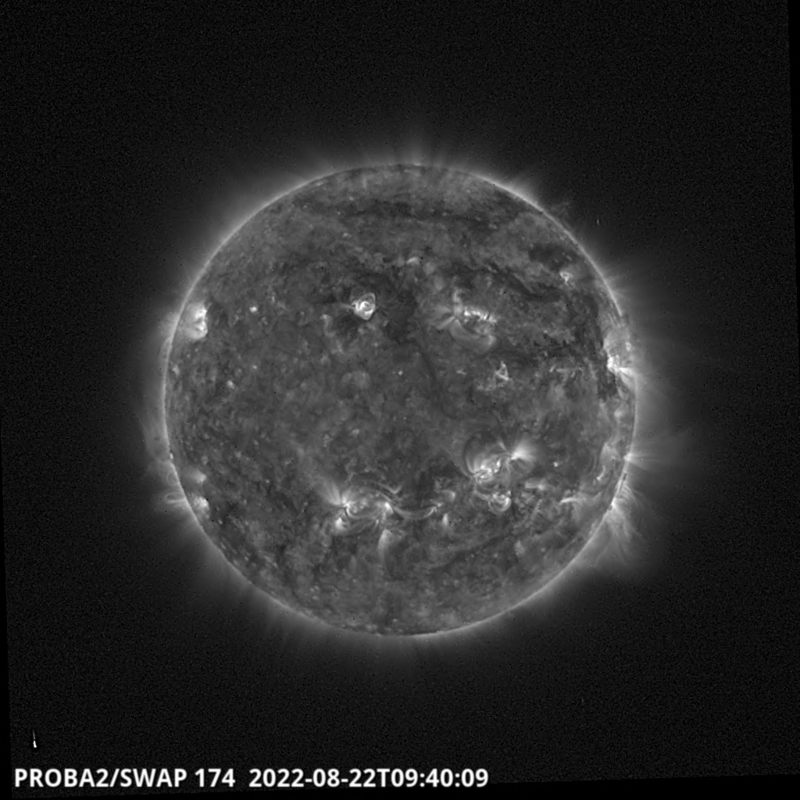 The X-rays and enhancement in EUV solar signal associated with the M9.3 flare are nicely recorded by LYRA. The purple points in the plot below show the evolution of the average intensities of the recorded SWAP images. 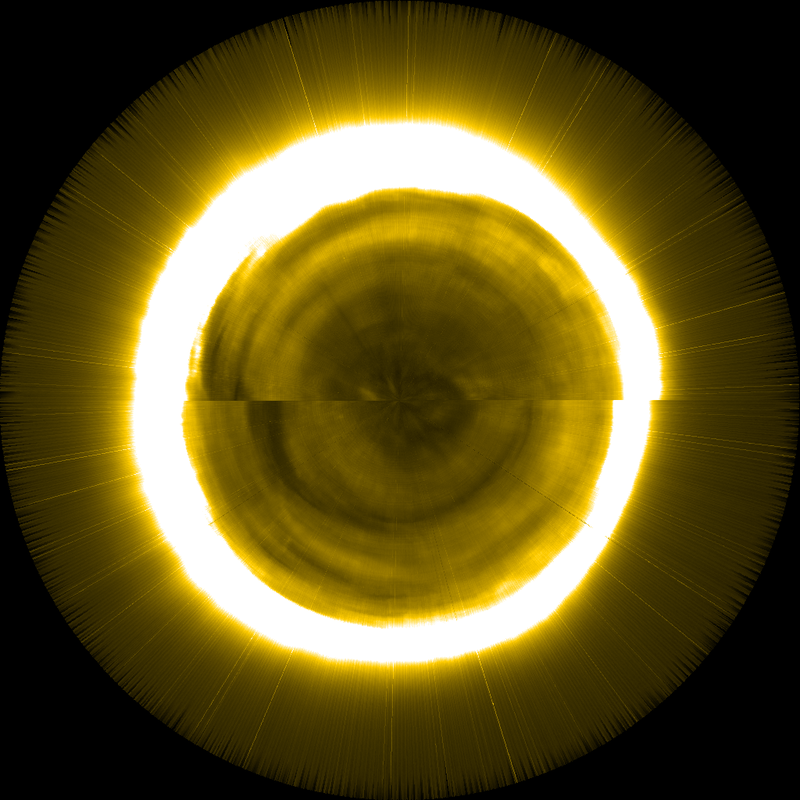 The drop in signal after the flare peak is associated with the dark dimming running across the disk (see movie above).